On this Tanzania Luxury Safari, see all the highlights of Tanzania, including the Big 5, the Serengeti, Ngorongoro Crater, and the Maasai tribe. Our Tanzania Luxury Safari was designed for a couple who had been on multiple safaris and wanted a unique, authentic Tanzania experience. 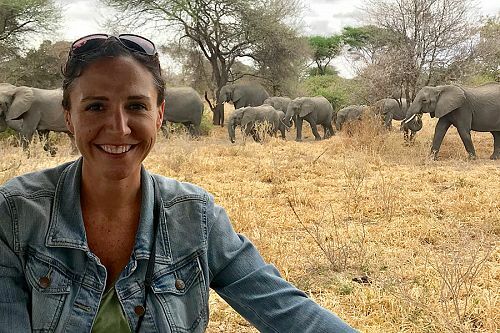 This luxury tour allowed them to see all the highlights of Tanzania, including the Big 5, the Serengeti, Ngorongoro Crater, and the Maasai tribe. 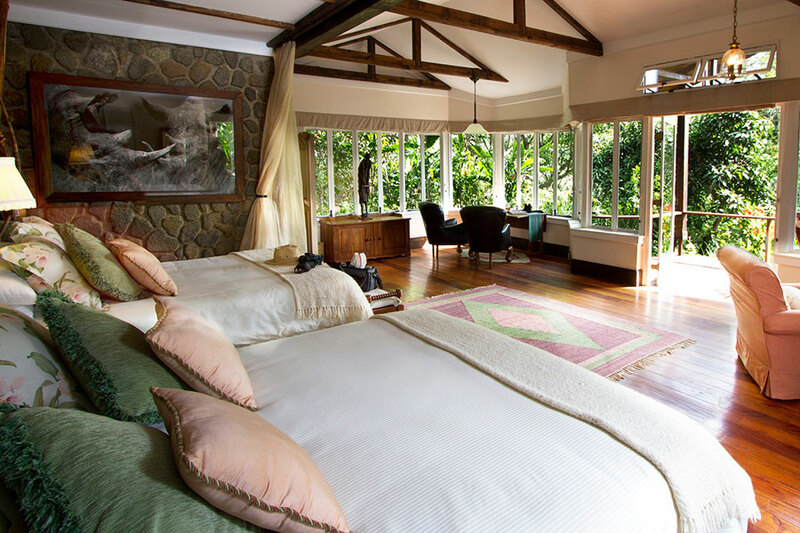 On arrival to Tanzania, they spent a luxurious night at Legendary Lodge in Arusha. 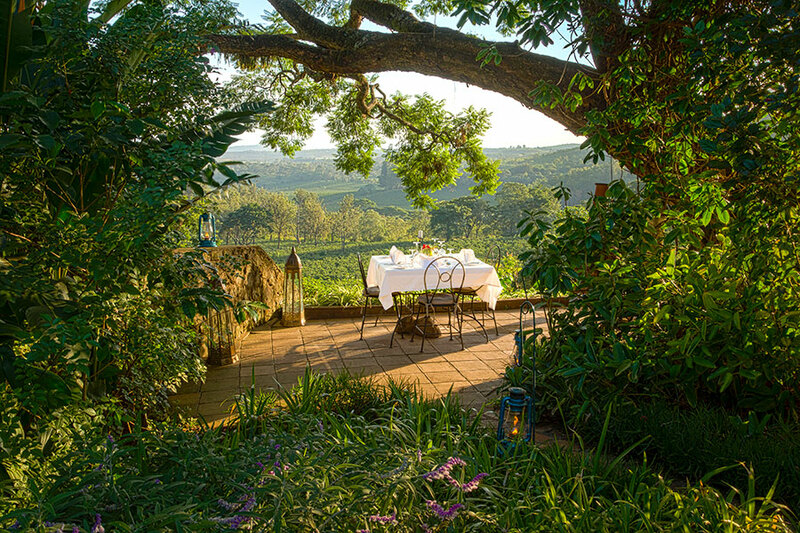 They enjoyed a delicious dinner in their spacious, private cottage surrounded by lush gardens and beautiful jacaranda trees. Next, they spent 2 nights at Legendary Serengeti Camp, a luxury tented camp that follows the Great Migration across the Serengeti. They witnessed one of nature’s most spectacular events: the annual migration of wildebeest, zebra, and other species across the vast Tanzanian plains. 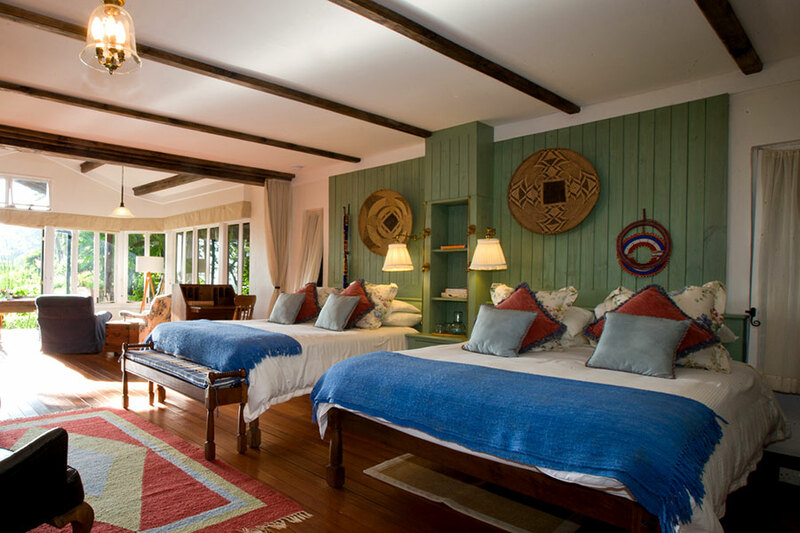 Their Tanzania Luxury Safari continued with 2 nights at Mwiba Lodge. Located on a rocky outcrop surrounded by boulders, Mwiba Lodge offers stunning views over the Mwiba Wilderness Reserve. 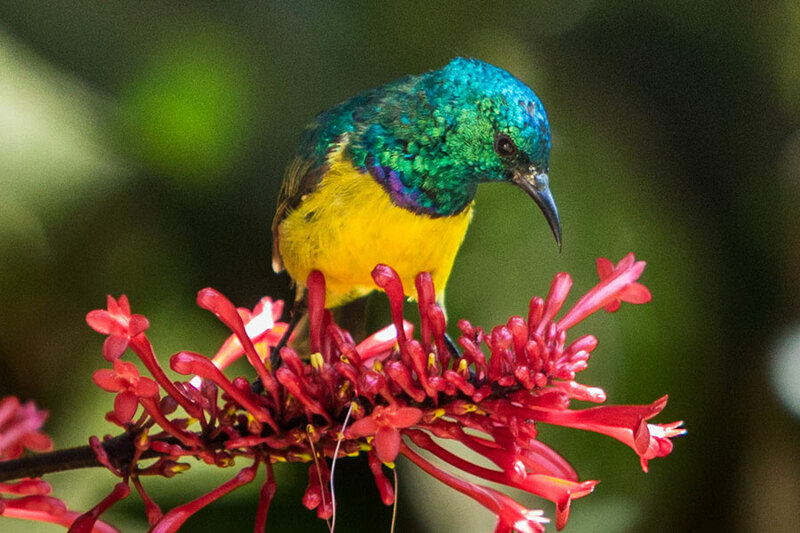 During their stay, they enjoyed expertly guided bush walks to see the area’s many leopards and other rich wildlife. They also met members of the local Datoga tribe for a one of a kind cultural experience. 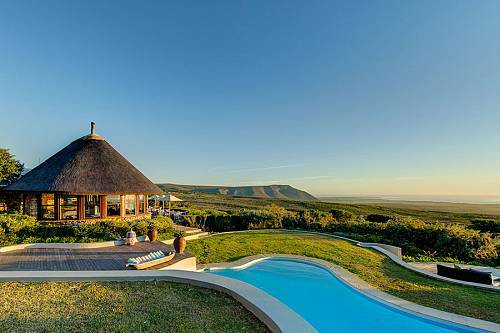 Next, their Tanzania Luxury Safari took them to the magnificent Ngorongoro Crater. 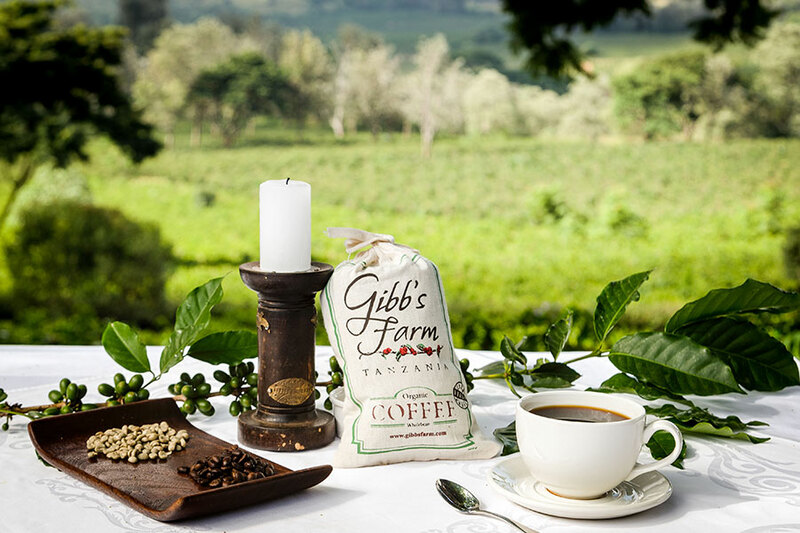 They spent 2 relaxing nights at Gibb’s Farm, which offers secluded luxury accommodations on the grounds of a 10-acre vegetable farm. They spent an afternoon hiking the crater rim and enjoying magnificent views of Ngorongoro Crater, the Serengeti, and the Gol Mountains, followed by a delicious farm-to-table lunch. They had a leisurely stay, exploring the tranquil farm grounds and visiting a nearby village to discover the local way of life. Their next stop was Little Chem Chem, a luxurious tented camp in the heart of the African bush. 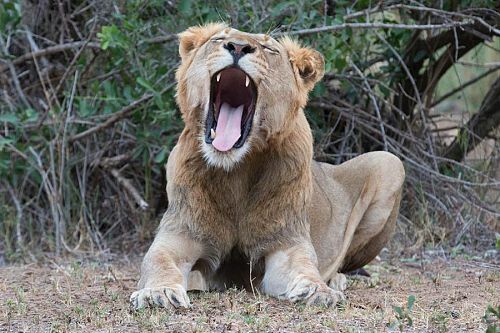 They enjoyed close sightings of lions and elephants near the camp grounds and on their 4×4 safari outings. 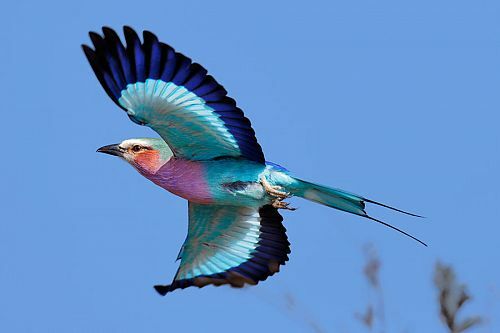 They also enjoyed a special treat with a hot air balloon ride over the beautiful and wildlife-rich Tarangire National Park. They then stayed at Chem Chem Lodge on the banks of Lake Manyara. To cap off their Tanzania Luxury Safari, they spent 2 days exploring the area with their guide and a Maasai warrior, lounging by the lake, and viewing the area’s unique wildlife. Finally, their fabulous safari tour came to an end. Welcome to Tanzania! 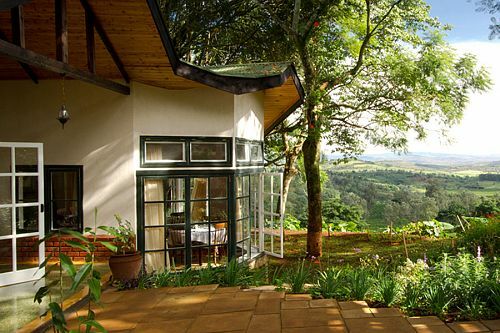 Upon arrival, you’ll spend 1 luxurious night at Legendary Lodge in Arusha, which is located in lush gardens on a working coffee plantation. Enjoy the night in your spacious luxury cottage and experience the best in local flavors. This morning, your Tanzania Luxury Safari brings you to the wildlife of the Serengeti to witness the Great Migration. 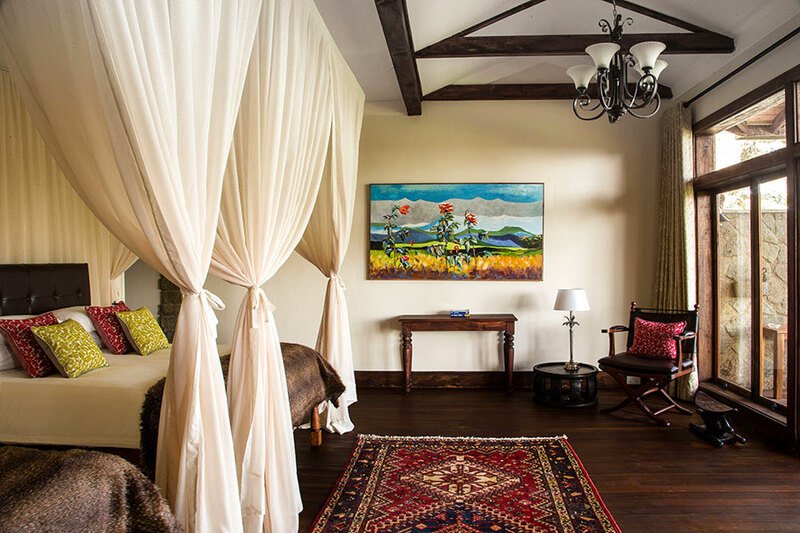 Spend 2 nights at the Legendary Serengeti Camp in a luxurious tented room overlooking the scenic Tanzanian plains. 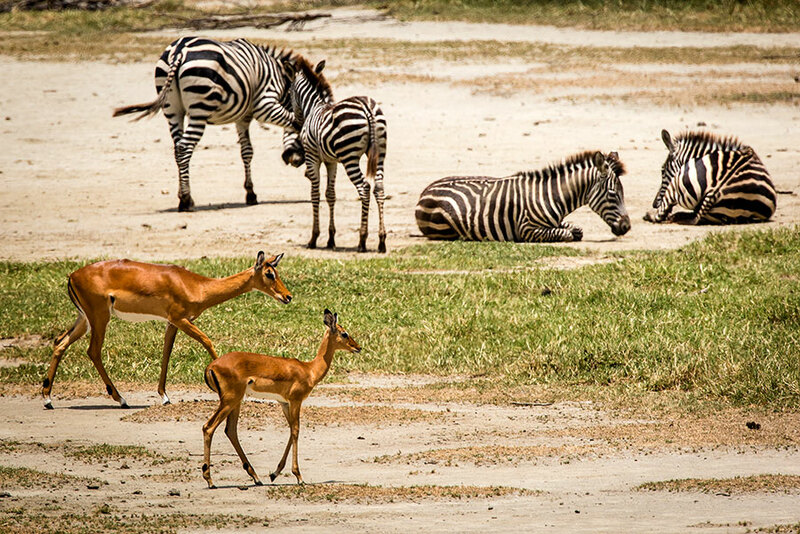 See huge herds of wildebeest, zebras, and more as your expert guide takes you alongside the animals’ annual migration across the Serengeti. Explore the pristine private wilderness of Mwiba Wilderness Reserve during the next 2 nights in Mwiba Lodge’s tented suites. 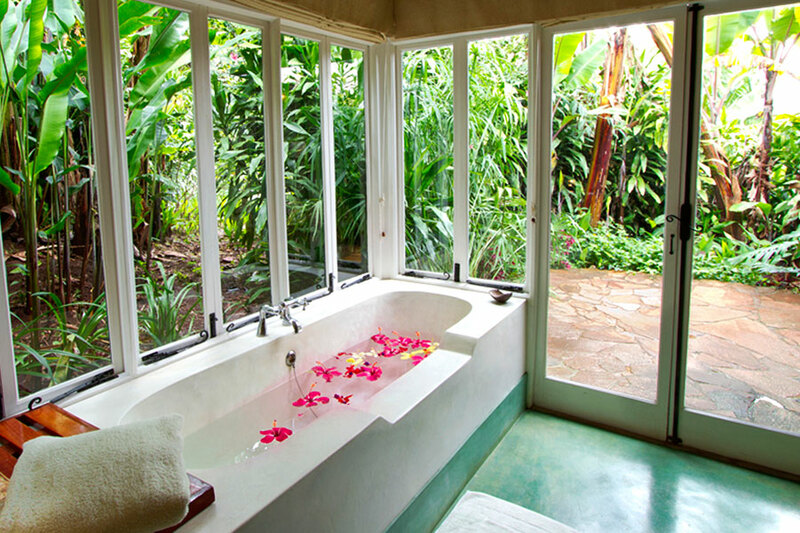 Look out over the beautiful and rich wilderness of the reserve from the comfort of your private deck or free-standing tub. Enjoy big game safaris, diverse activities, and dancing with the Datoga tribe. This morning brings you to the unique beauty of Ngorongoro Crater. 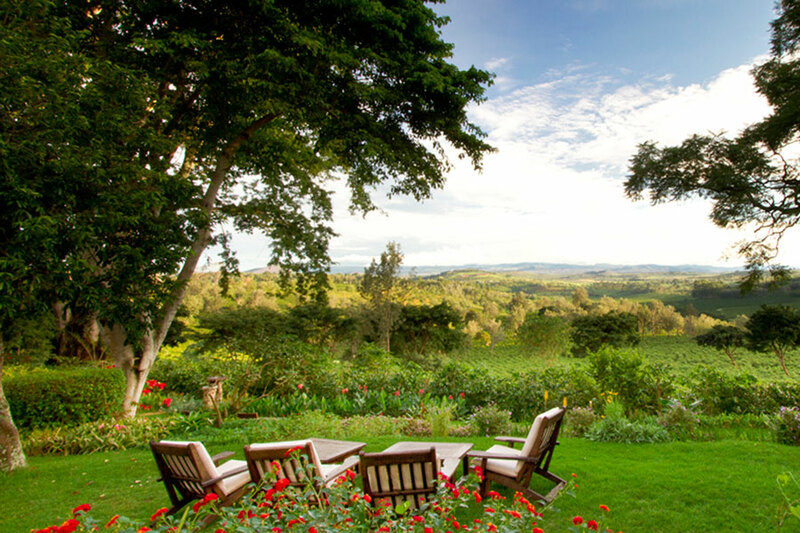 Spend the next 2 days in the secluded and serene beauty of a 10-acre organic vegetable farm. Discover amazing views while enjoying exquisite lunches from farm to fork. Enjoy luxurious accommodations featuring your very own fireplace, lounge, and both indoor and outdoor showers. Soak up your magnificent surroundings on a hike of the crater rim or discover the ins and outs of work on the farm. 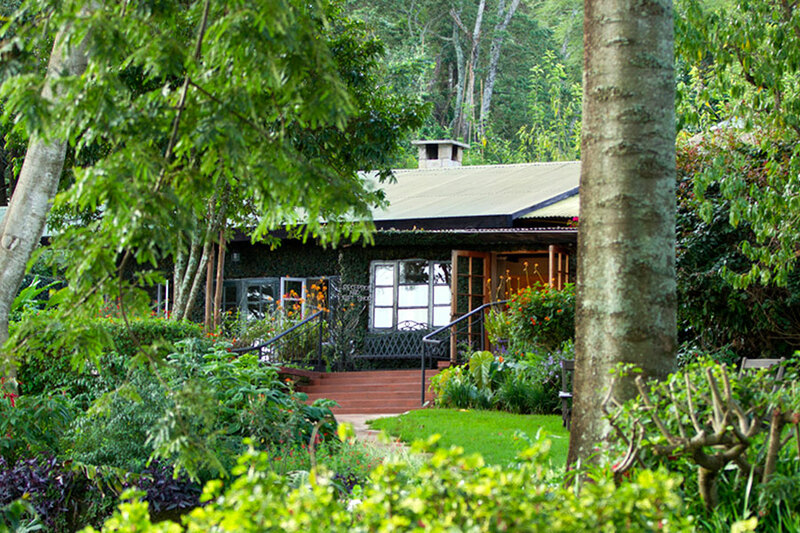 Today, your Tanzania adventure brings you to Little Chem Chem in Tarangire National Park, where you will stay 2 nights. Enjoy luxury tented accommodations in this pristine and very private setting. Discover the thriving local wildlife—including lions, elephants, and cheetahs—via 4×4 or on foot and explore a protected migration pass with your expert guides. At night, enjoy delicious private dinners served in the scenic setting of your choice. After breakfast, you’ll be transported to Chem Chem Lodge on the Eastern shore of Lake Manyara. These luxury tented suites are designed to give you the ultimate feeling of privacy and tranquility. Spend the next 2 days watching flamingoes on Lake Manyara, exploring the plains with Maasai guides, spotting tree climbing lions and other wildlife, and enjoying sundowners by the lake. 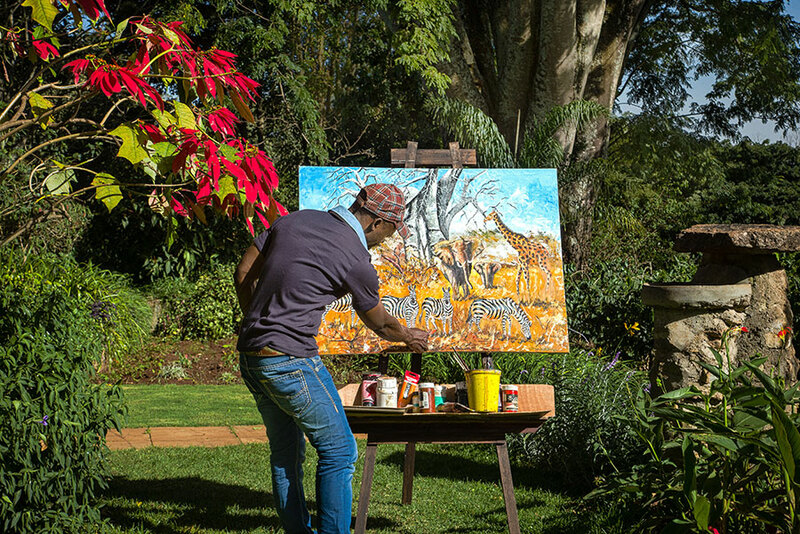 Indulgent spa treatments and cultural visits with the Maasai people are also available. 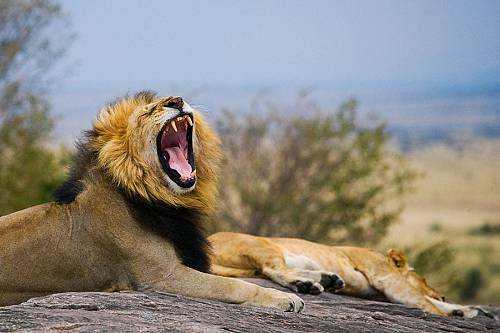 This is the perfect end to your Tanzania Luxury Safari.